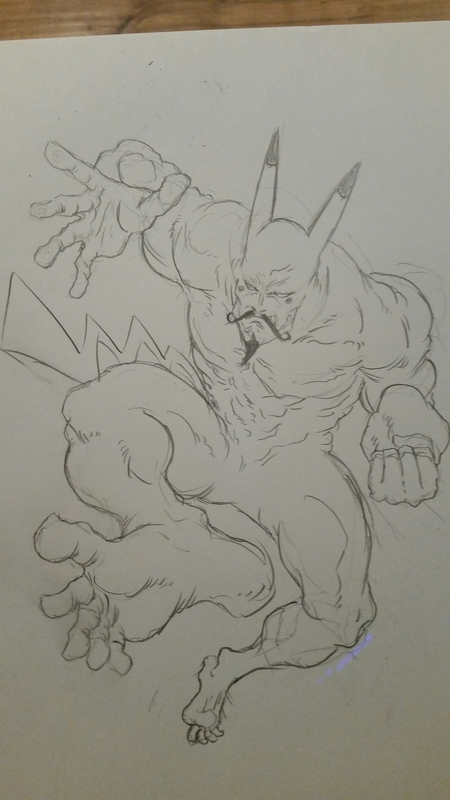 Someone dared Yuji that he couldn’t free-hand his Manly Pikachu character. Not only did he manage it, he threw in some awesome anatomy twists and an evil mustache. Enjoy!